Chips are a summer food we always enjoy in my house. This year my son has loved to say "Chips" for some reason the word cracks him up. He will point to the cupboard and ask for chips with his lunch. We had our chips as a snack during the afternoon while we played video games and watched cartoons. I really enjoyed the plain potato chips too. They had a great crunch and were not greasy. We served some with a clam dip for dinner with steak. It was a hit. 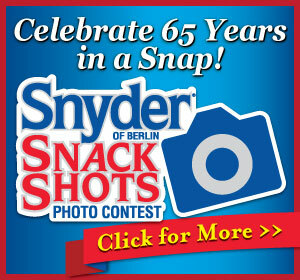 Enter The Snyder SnackShots™ Photo Contest! Each month the judges will select one photo entry that will be qualified for inclusion in the final judging of the Snyder SnackShots™ Photo Contest. Here's a Press Release (PDF) with some more details. Eight semifinalists will be chosen: one each month, June 2012 - January 2013, for the final selection among all entries received. Each semifinalist will receive a Snyder of Berlin Party Package of Snyder products. Check back with the Synder of Berlin contest page see the monthly winning photos and for the announcement of the Grand Prize winner. Your photo should include Snyder of Berlin products in some way. I am putting on my creative thinking cap to make a fun photo to enter the Snyder SnackShots Photo Contest. I would love to win any of the prizes! The one Grand Prize Winner receives: $1,000 in cash, a digital camera (valued at $150) and free Snyder of Berlin snacks for an entire year delivered to their door. 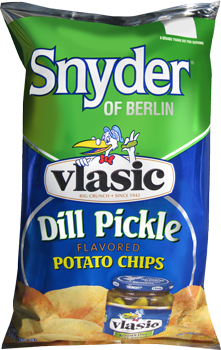 The three Runner-Up Winners will receive: $500 in cash and free Snyder of Berlin snacks for an entire year delivered to their door. I soooo want to try these ones! You can buy Snyder of Berlin Chips online if you cant find them in the store. The Snyder family starts cooking kettle chips in their home kitchen on Centennial Avenue in Hanover, PA.
With a growing reputation, chip operations move to a new brick building at the back of the homestead. Edward Snyder II and brother-in-law Barb Sterner work nearly around the clock to keep up with demand. William Snyder takes over operations from his father as the company moves into its third generation. Snyder works with manufacturers in the development of the aluminum foil bag and automated packaging machines. Distribution spreads across Pennsylania — from Philadelphia to Pittsburgh. Jacob Stutzman, a storeowner in Berlin, PA, assists in sourcing chipping potatoes in Cambria and Somerset counties. Stutzman and William Snyder meet with local farmers and business owners to discuss joining together to open a potato chip factory. The Berlin Brothersvalley Industrial Association of Berlin, PA, is formed. Stock is sold to finance construction of our original 120 x 100 foot building at the East End of town. Sent to learn the chip making operations, Norman Handwerk of Berlin returns from the Hanover plant with surplus machinery that he and his mechanics refurbish for use in the new factory. Operations begin in Berlin with seven employees. Snyder operations in Hanover and Berlin part ways. The Sterner family assumes ownership of the Berlin operations. Upon the death of her husband, Edythe Snyder Sterner becomes president. 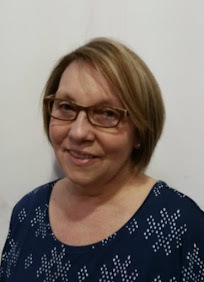 Edythe and Barb's son, Gary Sterner, becomes general manager marking the fourth generation in the family's business. Eleven additions are constructed around the original factory with new offices, manufacturing lines, storage and distribution facilities. The added space and success leads to the introduction of new product lines — including corn chips, corn curls and popcorn. Continuous roll packaging machines begin the trend toward high speeed automation. Snyder is acquired as a division of Curtice Burns of Rochester, NY. Its association with the Pro-Fac Cooperative (Producers-Facilities) garners the commitments needed to satisfy market demand; farmers get a guaranteed market for their produce. Curtice Burns Foods becomes a wholly-owned subsidiary of the Pro-Fac Cooperative. Curtice Burns changes its name to Agrilink Foods, Inc. to underscore the close relationship between farmers and processors. With the acquisition of the Birds Eye brand, Agrilink Foods doubles its size. In 2003 Agrilink changes its name to Birds Eye Foods, Inc. building on the prestige of the nationally recognized brand. Pinnacle Foods Group LLC completes the acquisition of Birds Eye Foods. Pinnacle Foods is a private equity portfolio company of the Blackstone Group. * I was not paid or compensated for this post. 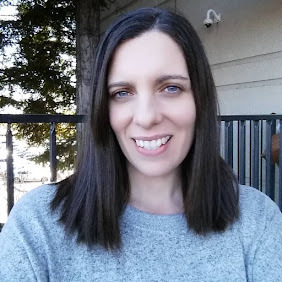 I was provided for free the products pictured in this post for my review by the Company/PR company. The opinions are 100% mine and may vary from others.